If you're like me, you really want healthy home-cooked meals. You just don't have enough energy to cook them. 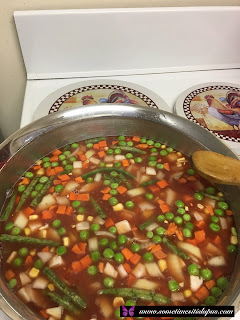 This minestrone is one of my favourite quick-fix-meals. It takes very little effort, but is still healthy and tasty. The first thing to remember is you need a big saucepan. The second thing to remember is there's no set amounts of things. You can put in as much or as little of each ingredient as you like. A can of crushed tomatoes. Vegetable stock powder or cubes or the more expensive liquid stuff if you think it's any better. 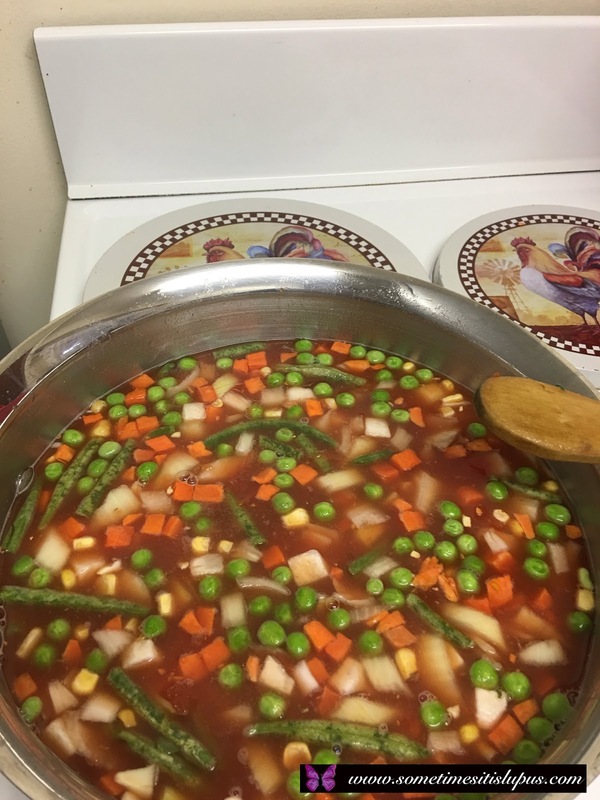 Frozen mixed vegetables - the ones cut into small pieces. Pasta (I use gluten free) or rice. Herbs: I used garlic, black pepper, basil, oregano, chives and parsley. Some dried red lentils, washed.